GTXCG51018 is a low height bed designed to meet the market demand. It is based on the model AG-C101A01. The low height allows the lying-in women get on/from the bed much safer. The mechanical structure and electric system take advantage of its former models and also have been improved upon users’ suggestions. 1) Back section and seat section movement is combined which means when you operate the back section. 2) The seat section will reach a reasonable angle to comfort the lying-in woman. 3) The leg section can be adjusted up and down separately. 5) The leg holder is retractable for saving loading or unloading time. 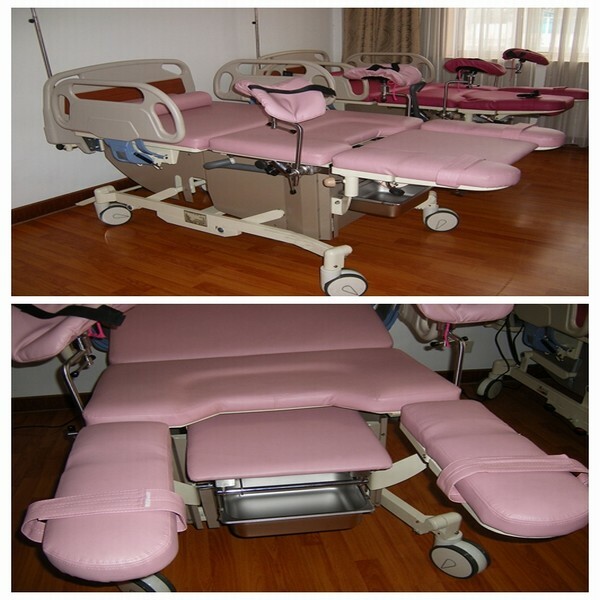 6) And the large castors on the base can increase the stability of the bed and the flexibility to transfer the patient.